I am yet to come across a Nigerian that doesn’t love meat pie. 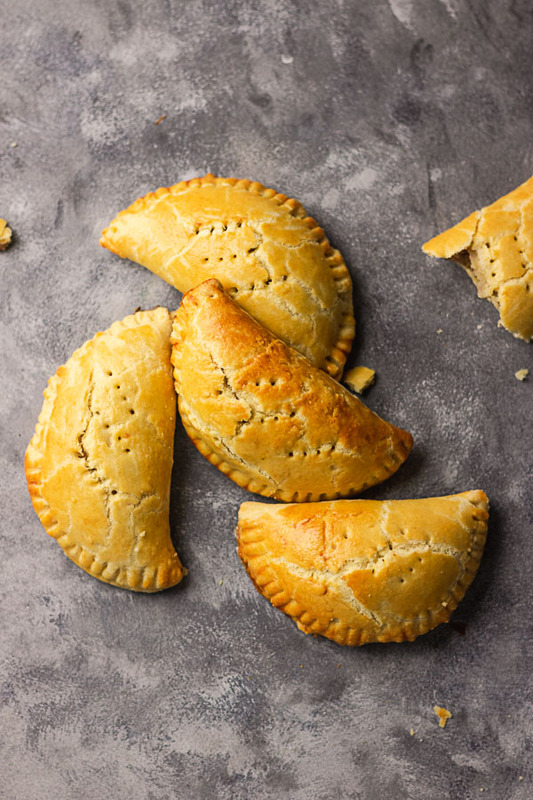 Nigerian Meat pie is one of Nigeria’s popular street snack and it’s loved by all. Growing up, I always look forward to when my mum would make Meat pie or when my dad would buy for us for being good. Especially from one of the popular confectioneries. It is not just a Nigerian thing, it is also popular in other parts of Africa. 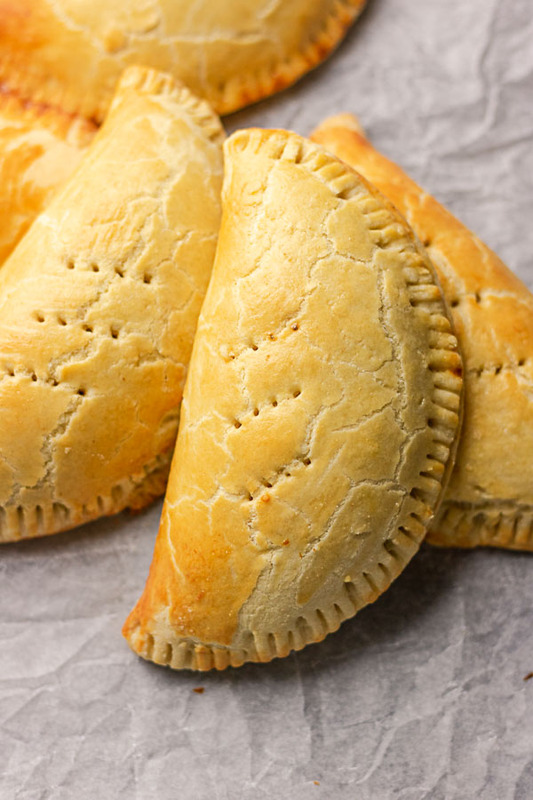 Nigerian meat pie if well done should be juicy, the pastry will be buttery and should also melt in the mouth. 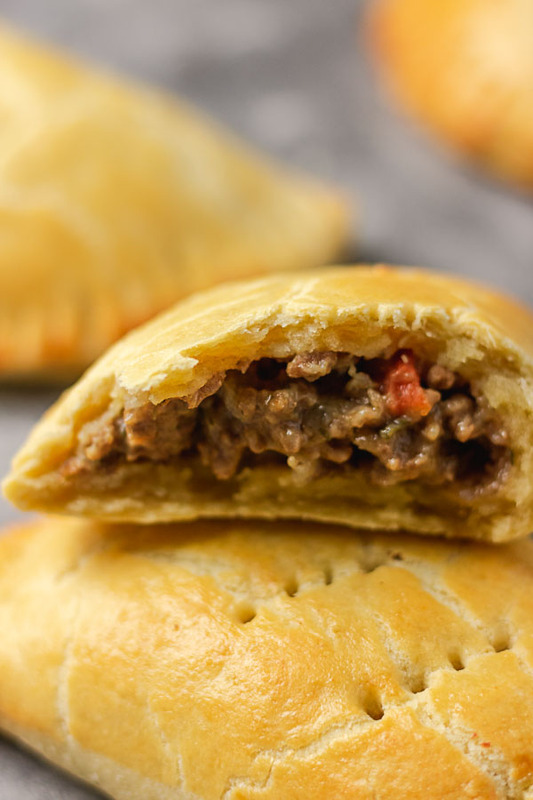 Nigerian meat pie filling (mince filling) has to be perfect as well as the pastry otherwise it would be dry and chewy. 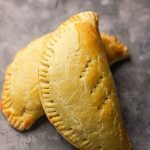 Making shortcrust pastry can be tricky but with a lot of practice and patience, you would master it and know what works for you. I don’t add eggs to my pastry as it is not necessary. 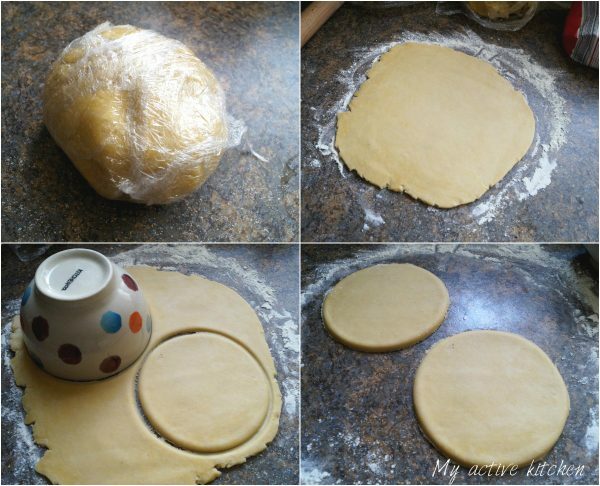 It is easy to make buttery pastry without eggs. I shared in my fish pie post on how to make a foolproof shortcrust pastry and the most important tip to remember when making it, is not to overwork the dough. 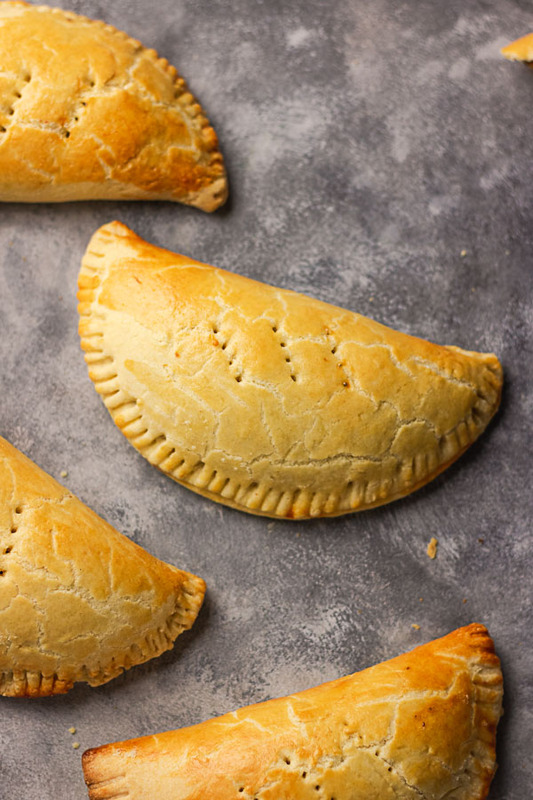 This Homemade meat pie is easy to make and you can make it to the size you want. 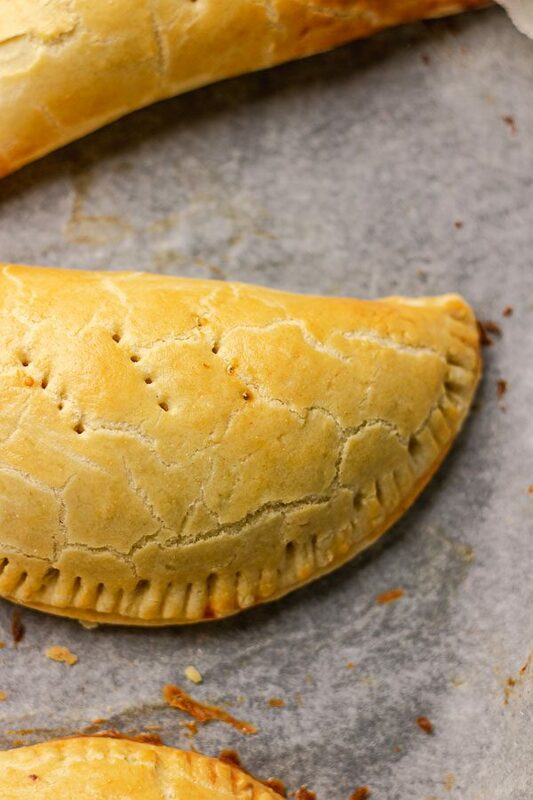 Here is an easy step by step guide to making the best Nigerian meat pie ever. Set dough aside in a cool place or a fridge for 30 minutes then you move on to preparing the meaty filling. Yes! Making the dough is that easy but remember, DO NOT overwork it when handling. Place a pan on a medium heat and add oil, heat for 2 minutes, add chopped onions and fry till onion is translucent. Add mince to the onion and stir mince till its brown then add curry, thyme seasoning, pinch of salt and stir till all combine. Reduce the heat if need be to avoid burning. 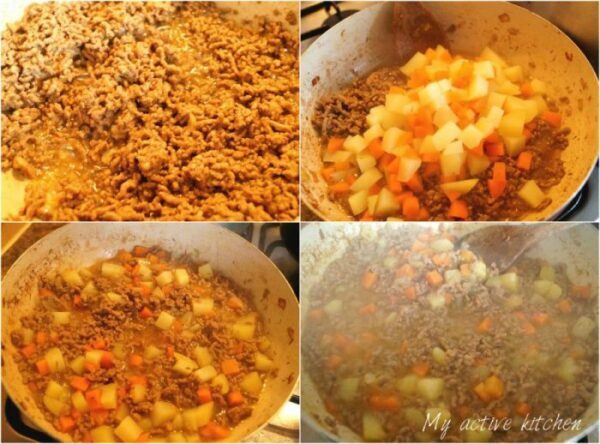 Add boiled potatoes and carrots, combine well and cook on a low heat for another 3-5 minutes. The mince should be well cooked now. Now you move on to thickening the mince. Add 2tbsp of flour to a bowl and mix with water to form a paste. 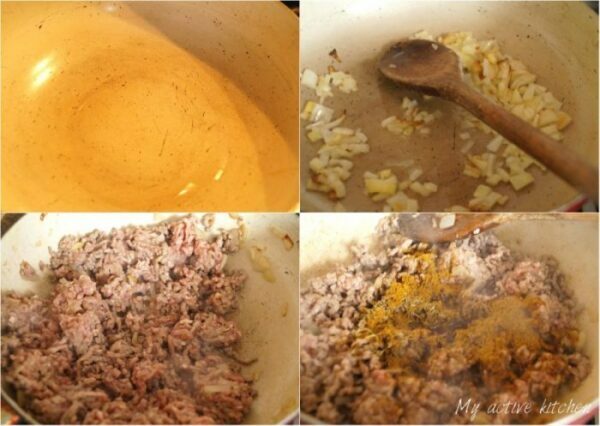 Add the paste to the mince meat on the heat and combine well. Leave to cook for another minute. Take off the heat and allow to cool. Add meat filling to the centre of the circled dough, brush one half of the circle with whisked egg and carefully fold over the meat filling making sure the 2 edges touch one another. The aim of the egg is to seal the dough. Repeat this process for the remaining dough and filling. Place a foil in a baking tray and rub with oil. this stops the pie from sticking to the tray when done. 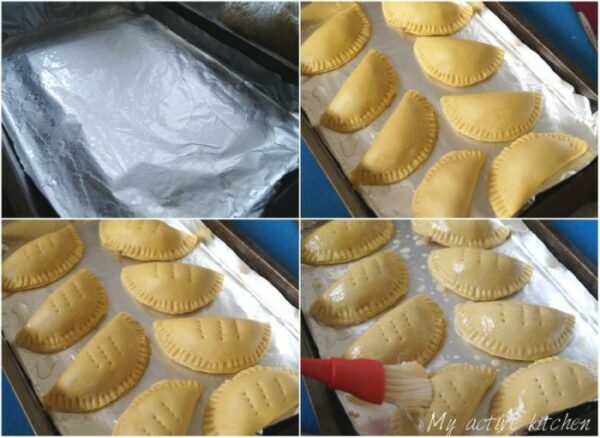 Place in the oven and bake for 20-30 minutes at 200⁰ or 180⁰ if using a fan oven. You can also use salted butter for this recipe. If you would be using it, please omit salt from making the shortcrust pastry. 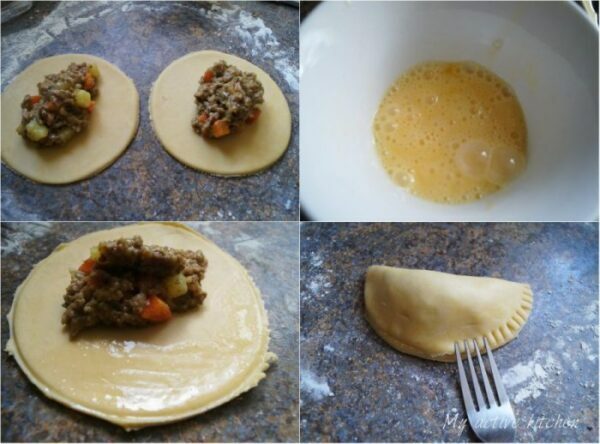 You can add a bit of water to the mince filling if it looks too thick or dry. Allow the meat pie filling to cool down completely before adding to pie dough. Good day sis, yesterday was my sons birthday n I tried out your meat pie. It came out so well, God bless you for the recipe. Hello Aishat, thank you for your feedback and I hope you will be making more soon? Wow! thanks soooo plenty, I will definitely give this recipe a trial. I can’t wait. 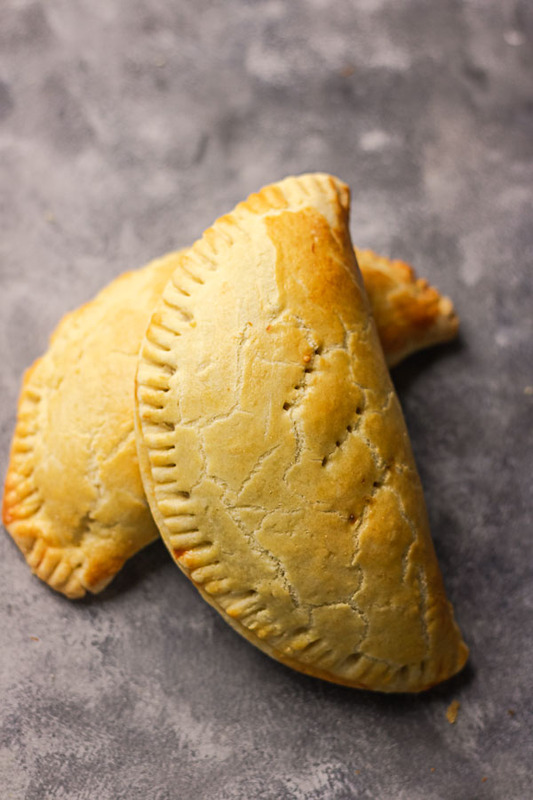 Hello Olaide, I cant wait to hear your feedback when you make the meat pies. How many pieces from this recipe? I’m an American and my honey is Nigerian and I made these for him and he loves them so much!! Thanks for making it so easy with your step by step method.. will definitely be trying more recipes from here. Yay!! well done Shamika. I am glad you found the meat pie recipe easy to follow and thanks for trusting it too. I love your receipiew but wish you would specify the qty in spoons and cups. Was a challenge as I don’t have a kitchen scale. Do we need to add milk for the dough or not,or the egg..
Hello.I really do like your recipe. I would like to know what type of butter do you use? This is because my dough comes out so strong even when I add water. Difficult to knead. I am thinking it could be the type of butter I use(.butter for pastries and cookies).Please is there a particular type to use? Thanks. I will try to butter the pan next time. Is there a need for tin foil ? You are welcome, about the foil, there’s really no need for it. I used it because my pan is old. 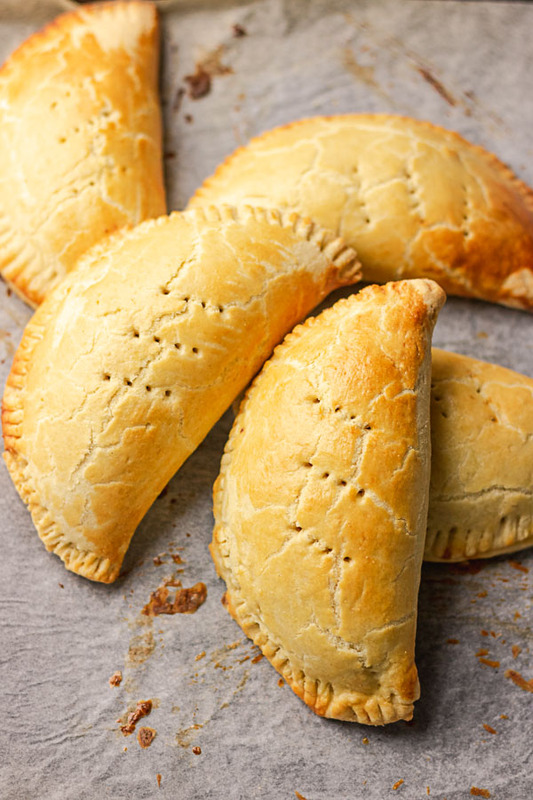 Dear A joke,I’m not a Nigerian, but my lovely hubby is,l followed your recipe for meat pies and they turned out great, thankyou from the bottom of my heart and keep up the good work, how would you do fish pies? Thank you so much Sandie for your kind words, they really mean a lot. I have a fish pie recipe on the blog here, kindly search for it. thanks again and do let me know how you get on. Thanks so much Joy for trusting our recipe. I love this recipe so much. Tho I think the sugar made my pastry a little sweet which I didn’t like… I really love the filling. I’ll try the recipe again but without sugar. I really enjoyed this. Super easy, my family kept wanting more. I was probably the only one who didn’t like the sweet taste. How much salt and sugar do you add to the dough?? It doesn’t say. Please advise. Thank you. I would like to make 200 meat pies and I’m not sure how many this recipe I’ll give me. Really enjoying your pastry line-up here in Florida !i’m presently trying out the meat pie and the agegroup bread which I miss a lot,..can’t wait to post a pic#firsttimebaker#seriouslyhopingforagoodresult#sorryforthelongepisode. Hi Oluyinka, you don’t need to add baking powder. Please can you provide the measurements in cups?